Kungsleden AB (publ) has signed a lease for 1,200 square meters in the Rotterdam 1 property with the media company Kanal 75. The property is located in Kungsleden’s Stockholm City East cluster, in the neighbourhood Gärdet/Frihamnen. 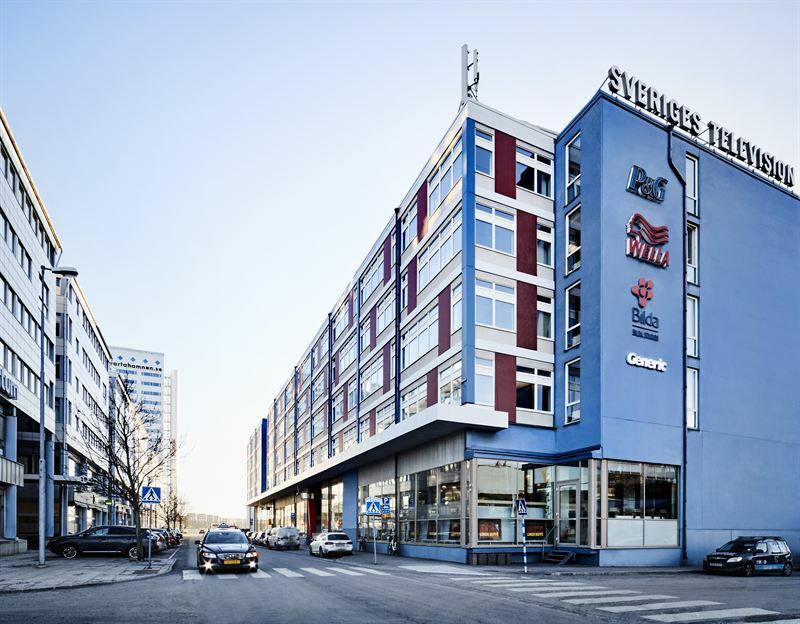 Kungsleden has four properties totalling 89,000 square meters in the Stockholm City East cluster in Gärdet/Frihamnen. The area is part of Stockholm’s largest urban development area, Norra Djurgårdsstaden, where a modern, innovative mixed-use neighbourhood with a strong sustainability profile is emerging. In total, 12,000 homes and 35,000 jobs will be created in the coming years. ATG-owned Kanal 75 will lease the 1,200 square meter office as part of a seven-year contract at Rotterdam 1 on Hangövägen 20 from 1 November 2017. “It feels great that we have found a property that meets our needs in Gärdet/Frihamnen. The fact that the neighbourhood is a media cluster suits us very well. Besides, we have already used studio premises in Rotterdam 1, so we are very familiar with them,” says Per Tellander, CEO at Kanal 75. “We are very pleased to welcome Kanal 75 as a tenant. I hope and believe they will feel at home in Gärdet/Frihamnen, which is one of our priority clusters with great future prospects and an excellent location, close to Stockholms city, water and green spaces,” says Sven Stork, Head of Real Estate Stockholm at Kungsleden. The information was provided for public release on February 27, 2017 at 12:00 p.m.